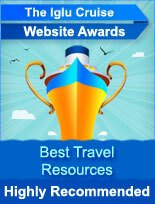 This is the Iglu Cruise award for the best travel resources. Every now and then, travellers come across a distinctive site displaying the kind of quality and usefulness that has them wishing they’d discovered it a long time ago. We hunted out not just two or three but a whole collection of such sites. Needless to say, there are more online resources to aid a tourist than anyone could hope to count. These vary from the useful to the absolutely invaluable – our panel of experts have compiled this list of sites we believe belong in the latter category. The team has taken painstaking care to include a varied selection of sites which work together in a complementary way, so all aspects of the trip from flights to accommodation can be planned in utmost confidence. 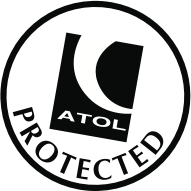 Every site which can be found on the final awards list provides an innovative and free service, so travellers could do much worse than to visit each at least once before setting out on a trip. Excellent guides, money-saving deals and user-submitted reviews come together to ensure the tourist’s chances of having an excellent vacation are near certain long before he or she steps out of the front door.